The Newest Star Wars Movie, Solo: A Star Wars Story recorded almost $ 350 million in its first month in theaters worldwide. This is a great opportunity to discuss how hackers can use media hype (Hollywood movie hype in this case) to get an unsuspecting Windows user to put a nasty USB stick into their computer. A long time ago, in a galaxy far, far away … a study was carried out in which 300 malicious USB sticks were dropped by researchers at a university campus in Illinois. Almost 50% of the USB sticks were recorded and at least one file was clicked on each of these USB drives. The data showed that adding keys to the USB keyring increased the likelihood that the flash drive was inserted into a computer. The presence of keys undoubtedly reinforced the belief that the keys and the USB key were lost and not put on the ground by a hacker. The data also suggest that USB sticks labeled "Pictures" or "Winter Break Pictures" are more likely to be inserted by the victim. The addition of keys and labels should be taken into account for USB drops. The experiment of the researchers was aimed at students and professors. They took advantage of their credulity to believe that a student could lose his USB stick on the school grounds. But what if the destination wireless router is not located at a university? This type of attack does not have to use the Star Wars franchise as its theme, I'm just a big one of the movies. During a reconnaissance phase, it can be discovered that a target user is obsessed with zombie movies and TV series. In this case, loading the USB flash drive with content inspired by The Walking Dead or something by a celebrated horror movie filmmaker would make more sense. The point is to label the USB flash drive and fill it with content that the intended victim will find hard to ignore. Make it tempting and exciting. At least one USB flash drive is required for this attack. At the time of this writing, USB sticks can be purchased in bulk through sites such as Amazon, Best Buy, and Newegg. I found that it is usually possible to find 10 USB flash drives for about $ 20. Keep in mind that these prices and offers will change over time. You could use larger storage capacities like 16 GB to really sell the idea that a movie is there, but chances are the user won. you notice the size, unless it is written directly on the stick, so works a smaller, cheaper good. Adding keys attached to the USB key ring is likely to increase the likelihood in that the USB stick is recorded and used. A local hardware store could be a good place to look for stocks and cheap keys. However, key collection is optional. You could use keys from a portable lock or house keys that come with new door knobs – any style can work if you want to attach keys. A virtual private server (VPS) is required to host the metasploit listener. This allows attackers to execute commands and issue Wi-Fi passwords on the compromised Windows computers. Install the latest version of Metasploit on a VPS with at least 1 GB of RAM. Use Unicorn in a local Kali computer (not on the VPS) to create an unrecognizable payload object. Unicorn is an excellent tool for generating complex payloads that can bypass antivirus software. Readers who may have missed our article on creating an unrecognizable payload for Windows 10 should review it, as many of the techniques shown there have been customized in this demo. This payload creates a reverse UDP connection (19659019) reverse_udp ) to the IP address of the attacker for the VPS ( 1.2.3.4 ) on port number 53 . The use of UDP on port 53 is in an effort to further disguise the payload and its network activity. Anyone who could examine the Internet traffic sending to and from the compromised Windows computer could confuse the packets for normal DNS activity. It will not make it impossible to discover the nefarious packages, but it can help you avoid Deep Packet Inspection (DPI). Then use  the newly created powershell_attack.txt file in the unicorn / directory. Select the entire PowerShell command and save it to a Windows 10 computer with the filename payload.bat . 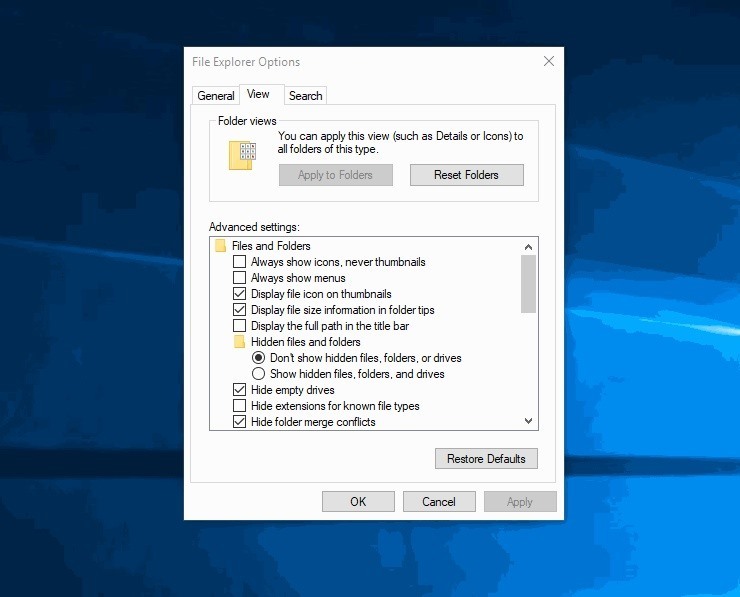 Readers can view all kinds of images I loaded the USB sticks with multiple payloads, so multiple images were used and this payload was merged with fake Windows 10 files, which are also malicious files that look like they're normal. The fake ZIP file in the picture below is a good example of this. After you have decided which images and Icons should be used, these should be converted with ConvertICO. Simply upload the images you want to the website and you will reproduce them in ICO format. Save the new ICOs on the Windows 10-based computer. Step 7: Set Up & Install B2E on Windows 10  Then, download and then install B2E, a Windows tool for converting files to executables. This has already been dealt with several times, so I'll continue. When B2E finishes installing, import payload.bat and select the desired ICO. Click the "Convert" button to create the EXE and save the file. This Payload.bat can be used over and over again to create multiple fake files. Just change the ICO files (converted in the previous step) and export with different filenames. 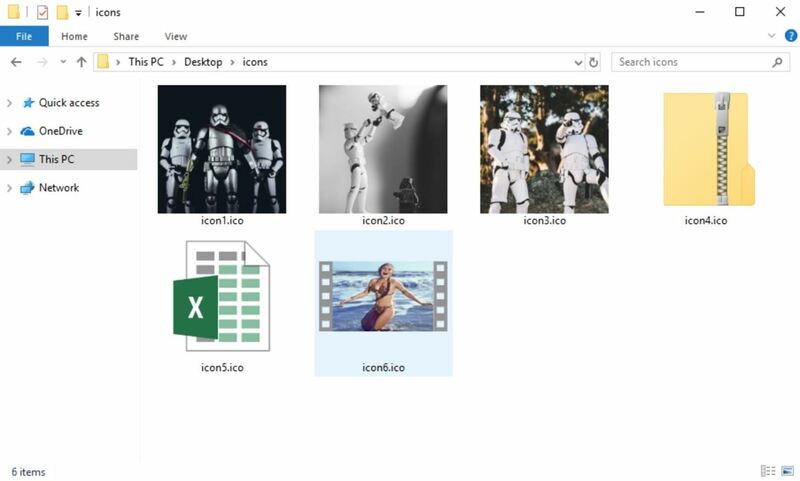 Each file appears to be a different image (or file), but executes the same payload and creates multiple connections to the target Windows computer. When all EXEs have been created, rename the files and inject the RLO Unicode character to fake the extensions. The SCR file extension can be replaced by the EXE extension without affecting the payload. This is one of several possible file extensions that allow hackers to skillfully execute EXEs. The payload will continue to run normally and the SCR extension ("RCS" if inverted by RLO) is much less obvious than the "EXE" in the file name. As shown in the above GIF, all files should have their filenames and extensions as fake files on the USB drive. If more than one USB flash drive is used in the attack, the payloads with fake file extensions should be copied to each discarded USB drive. Ready to go with the Payloads It's now safe to start Metasploit on the VPS. In the Unicorn / directory, there is a unicorn.rc resource file that is used to automate msfconsole initialization. The resource file should be copied to the VPS. Msfconsole can be started with the following command: msfconsole -r /path/to/unicorn/unicorn.rc. [*]   Processing /opt/unicorn/unicorn.rc for ERB policy. [*] Exploit is running as a background job 0. For those unfamiliar with it, "Screen" is a program that allows users to manage multiple terminal sessions within the same console. It has the ability to "disconnect" or close the terminal window without losing data running in the terminal. Before executing the command, attackers can terminate their SSH session to the VPS without closing the msfconsole listener. When files are opened on a USB drive, a new connection is established to the VPS. In the msfconsole terminal, use the Sessions command to display compromised Windows machines. Interact with the session "id" using the -i argument ( session -i 1 ). At this point, the attacker is put into a Windows console with little permissions (cmd). Use the following command netsh wlan show profiles to display Wi-Fi networks that the Windows computer was connected to in the past. To display the password for a specific Wi-Fi network, use the arguments and . 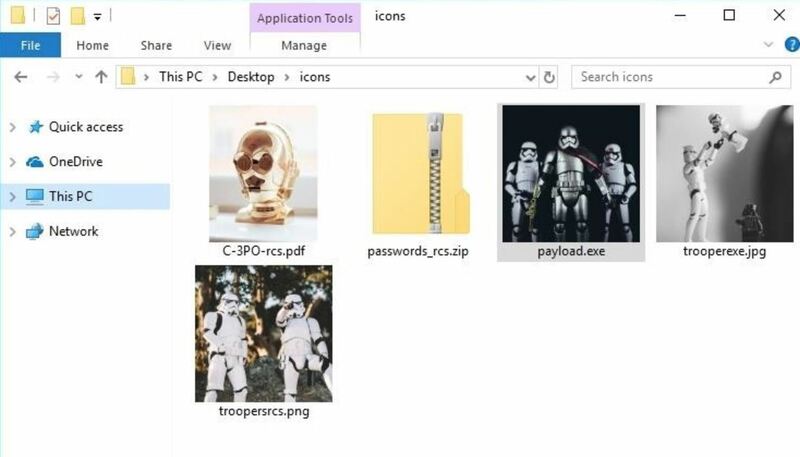 The password ("Attack of The Clones") can be found in the "Key Content" line. triple USB flash drive . If the drive seems to be too small for what you suspect it is likely to have a payload waiting for it. Some drives indicate the storage capacity; do not try to plug it in to see. Ban USB drives in total . Although Windows is not well known, Windows allows users to prohibit the use of USB drives for their computers by denying access to the Usbstor.inf file. If it is your workplace, it is not unfair to ban USB accessories on your work computers, as there is always cloud storage and fast internet connections. Prevent USB devices from functioning . If you do not want to ban USB drives altogether, you can use a tool like killusb to reboot immediately when an unknown, untrusted USB device is connected. Do not touch any unknown USB flash drives . Unless you're in a Taco Bell commercial, just resist the urge to plug a less than 100% secure USB stick into a computer or device. If you can exercise restraint here, all of the above tips should be useless for you. If you really can not help it, use an isolated and offline computer – not your primary, professional, academic, etc. laptop. Inform Computer User . If your relatives, family, friends, and colleagues do not know better, there's nothing to stop them from being exploited. To prevent this, just tell him about the risk of connecting untrusted USB devices. View details] Use the Detailed layout view in Windows File Manager. This displays information about the file type and lets you detect strange or suspicious file types. Always-displayed file extensions. Make sure that file type extensions are not "hidden".